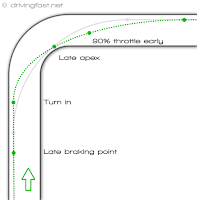 In auto racing, the fastest line through a corner is usually a “late apex.” Rather than braking, turning early, and then accelerating after the corner, a late apex takes a straight line deeper into the corner, braking, turning and taking another straight line through the corner and out. 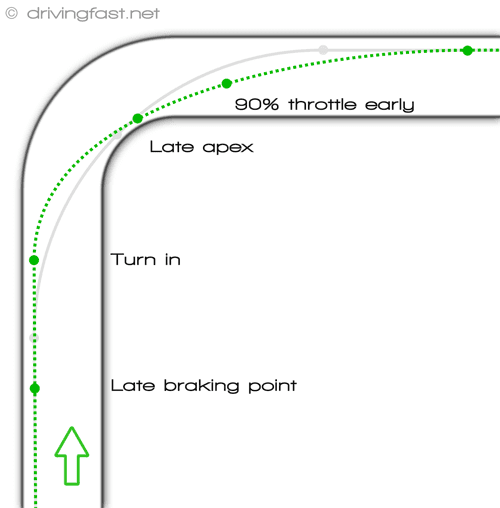 It’s typically faster because the car is at speed longer down the straight and faster through and out of the turn. In sales, the late apex is also the preferred line. Most sales people, as soon as they sniff an opportunity, start “turning into” it (the early apex). They give up on the initial line of discovery – learning about the prospect, their needs, pains, challenges – and turn into it – pitching and presenting. This pitching and presenting takes the salesperson off-track and the sale is lost. Experienced salespeople will continue on the initial line of discovery until they find the right moment to turn in (the late apex). At this point, they know where they are going with the conversation and it may well be a straight line through the corner and on down the track…or in sales terms, they have found a good match between the prospect’s key issue and their ability to address that issue. At this point they are “co-creating” the solution with the prospect in a linear way. This way of driving (or selling) feels odd at first. It doesn’t follow the natural contour of the road (or sales conversation). It requires intestinal fortitude to drive deeper into the corner and then turn, or to continue to probe on issues without talking about capabilities or features. Music to every sales person’s ears!